Glades are the hottest new trio out of Australia! With their atmospheric synthscapes, reverb-laden guitars and complex electro pop beats they’re a group to watch and a HK Pick To Hit™. 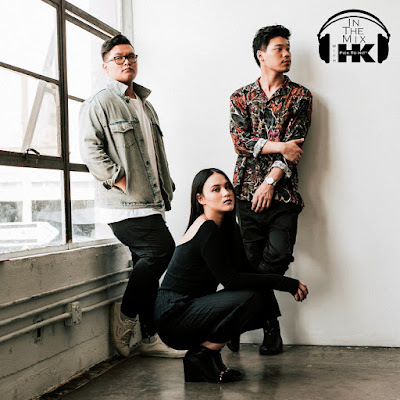 Their current single “Do Right” is certified Gold with over 50 million streams and this week Cam, Joey and Karina, of Glade’s, are calling into the show to talk about how they met, how they make music and when their debut album is dropping. This weekend I’m droppin’ all your faves mixed with some spicy HK flavor. Get ready for exclusive HK remixes on Taylor Swift, Justin Timberlake, Shawn Mendes, Meghan Trainor, Maroon 5, P!nk, Alessia Cara, Khalid & Normani. Plus new jams from Noah Cyrus & Max, Cardi B, Tiesto and so much more!